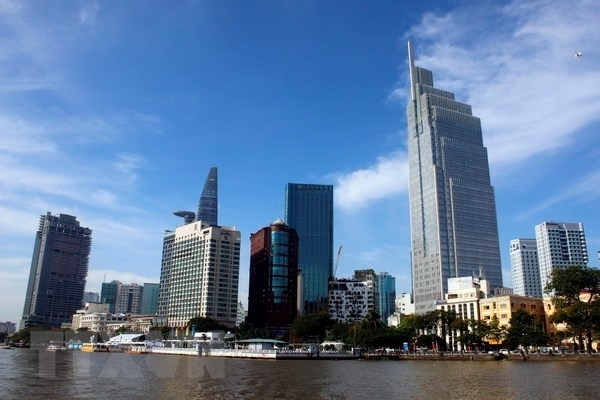 Ho Chi Minh City recorded key economic achievements in the first five months of the year, heard the municipal People’s Committee’s meeting on May 30. According to report from the municipal Department of Planning and Investment, total revenue from retail trade and services reached nearly 84.5 trillion VND (US$3.72 billion) in May, bringing total earnings for January-May to 421.9 trillion VND (US$18.56 billion), or 11.9 percent higher than the same time last year. Total budget collection was estimated at more than 154.3 trillion VND (US$6.79 billion), 41 percent of the annual target. The city raked in US$14.5 billion from exports, a year-on-year rise of 5.5 percent. Strong export growth was recorded in Hong Kong (China) with 17 percent, Taiwan (China) with more than 60 percent and Indonesia with more than 78 percent. Meanwhile, shipments to the US, the Philippines, Singapore, Malaysia and Germany were stagnant in the period. It spent in excess of US$18 billion on imports of equipment and material for production like machines, tools and spare parts. HCM City licensed the establishment of 16,493 domestic firms with total registered capital of 185.5 trillion VND (US$8.16 billion). Meanwhile, the city secured US$1.85 billion in foreign investments from January-May, up 34.7 percent compared to last year’s same period.